We provide you with all you need in order to assure you loose from 8 to 15 kg in 40 days and then successfully stabilize your new weight to last after the end of the dieting process. But what puts us aside from any other site you visited when choosing your way to loose weight fast and safely with Dr. Simeons HCG diet plan? Absolutely most of the HCG diet plans and HCG diet kits on the Internet sell you simply HCG drops, sometimes accompanied by HCG books or manuals and some kind of promised support. 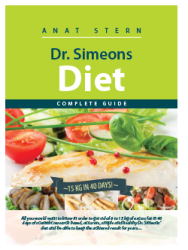 Very rarely you receive step-by-step thorough and professional guidance from day 1 until the last day of the stringent Dr. Simeons dieting protocol. After all, there are 4 exact phases, each one lasting the exact amount of days, during each one you need to eat very particular foods and some of the phases are accompanied by in-taking HCG and some are not. How can you assure that you don’t make mistakes? Every day when you do make a mistake costs you 1 to 3 days of weight not going down or even worse – going up. And then – what would you need to do to get back on the road? And we are very proud to provide you with the most advanced HCG solution available today – electronically reprinted copy of the HCG itself onto Xyilot globules. This way you get effect the closest to the original HCG without having to take in hormone without prescription. 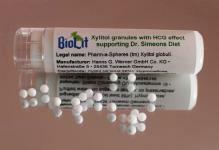 These globules we call BIOLIT thanks to their natural original without any additional chemical compound.